It's super simple in Recently to select the photos for the magazine. 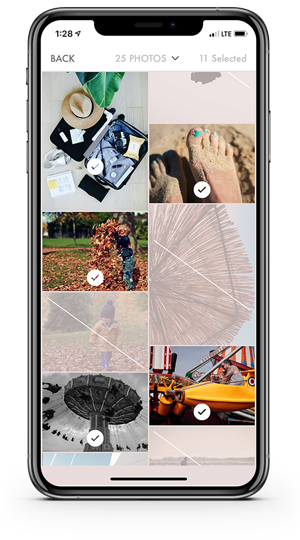 Simply tap to select or deselect photos for inclusion. Selected photos show at full opacity, unselected are faded. The page title keeps track of how many are selected. 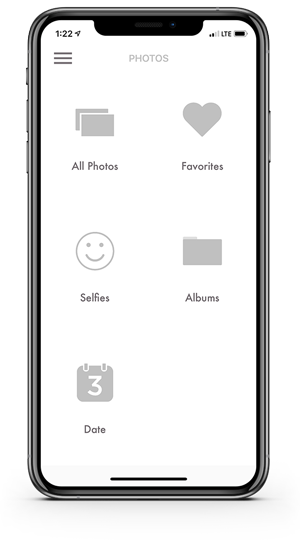 Once enough photos are selected to fill a magazine (25, 50, 75, etc...) a Next button will appear. Tap it to proceed.